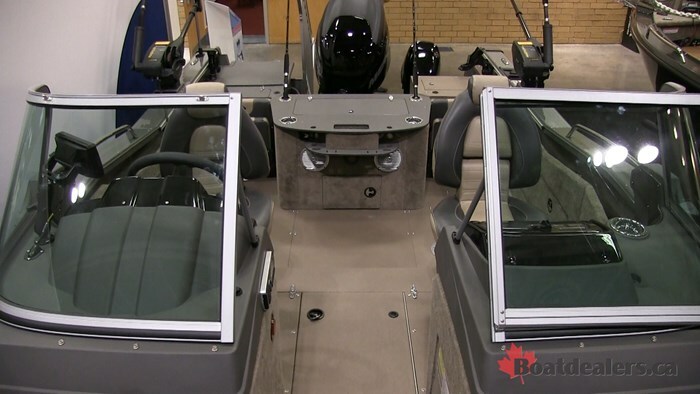 When introducing a brand new model to your line up the plan is usually to eventually expand on it and that’s what Princecraft is doing with their Xperience line up fishing machines. Introduced last year, the Xperience line is a serious fishing machine that can be converted to a cruising or skiing runabout in a snap. Not only that it has a unique style with a swooping sheer line behind the consoles. The first of it’s kind in the fishing industry, this style line is extra impressive when you find out it’s still a single piece of Aluminum. 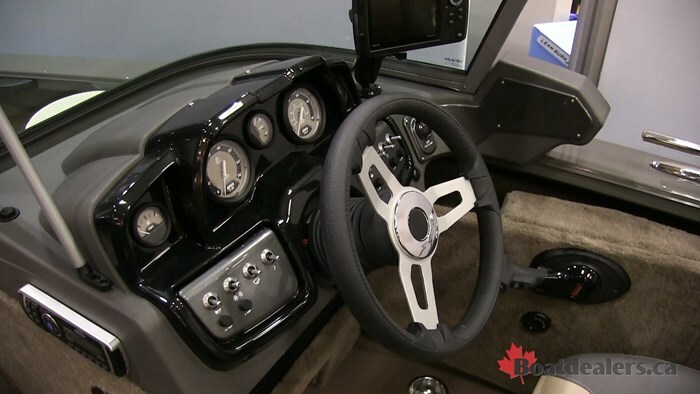 It’s these little details that showcase the design and innovation of the Princeville, QC boat builder. The 195 is an expansion from the 188 and inside it’s configured a little differently than its predecessor. At 19 feet you wouldn’t think this would be a big water boat but it’s high gunnels and splash well in the rear make this perfect for the big water. 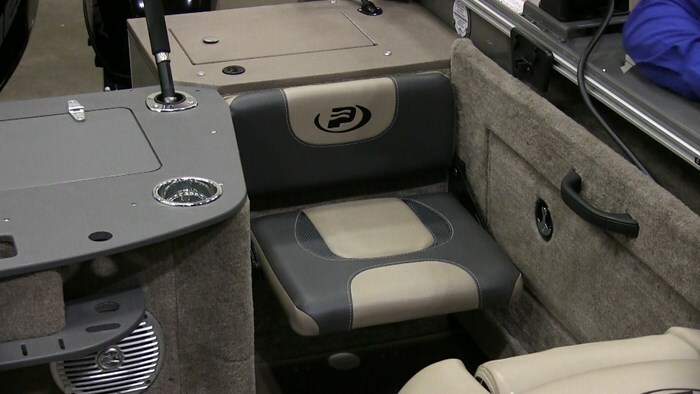 There are two jump seats that fold out of the rear combing bolsters for when it’s time to put the fishing gear away. When you’re going after some serious lakers they fold up and away giving you access right up to the transom, perfect for downrigging. You will use the two dedicated downrigger mounts and the Princetrak accessory system allows you to add almost everything you want. 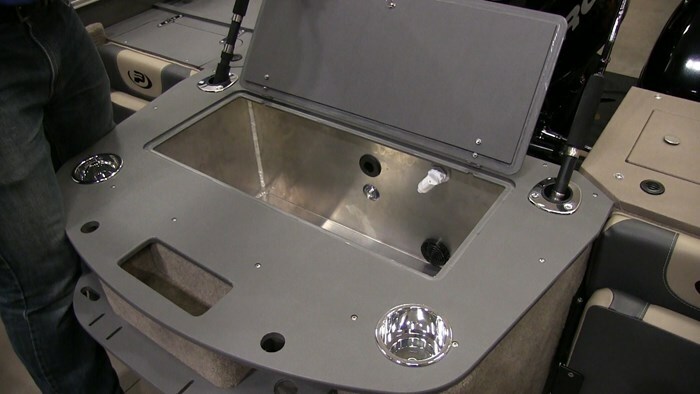 The rear livewell features a bait prep station between the aforementioned jump seats that has cup and rod holders. There’s no rear casting platform with this boat but that’s fine as this will be more of a big water trolling boat. That doesn’t mean you can’t do some casting with it. The cockpit has two seat bases and dedicated tackle storage on the starboard side and a storage locker on the port side. As you move forward you actually step up to another level to get to the two consoles and the walk through windshield. In the floor is locking rod storage and plenty of storage where you can just toss gear under the consoles. As you move forward to the bow there is another livewell along with plenty of storage flanking the bow seat base. Like I said this can still be a casting boat should you want to switch gears so this model was shown with a trolling motor for when you’re casting but there is a 9.9 kicker at the stern for when you’re doing some serious downrigging. The only downside to seeing this new boat at the boat show is I was unable to get out on the water and test it out. This boat has Princecraft’s new Dynamic Bow Lifter system which brings two lifting strakes well forward on the running surface. This is not common with fishing boats but when you think about the science it makes sense. These strakes add positive resistance that will get the boat on plane faster. They’re also said to add to the running stability. This is not something Princecraft generally needed help with but it shows they’re not resting on their laurels. Princecraft’s always ride very dry and are quick to plane. I refer to them as “drivers boats,” as they respond positively to trim adjustments and when you’re dialed in you’re running on only a few inches of running surface. 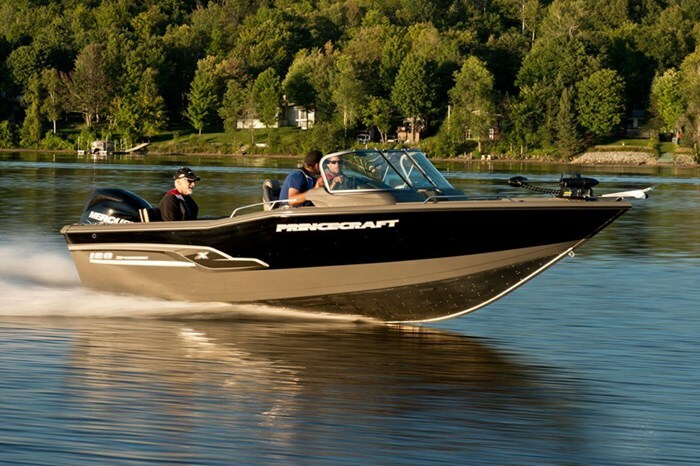 The Xperience 195 is going to be a welcomed addition to Princecraft’s already impressive line-up. 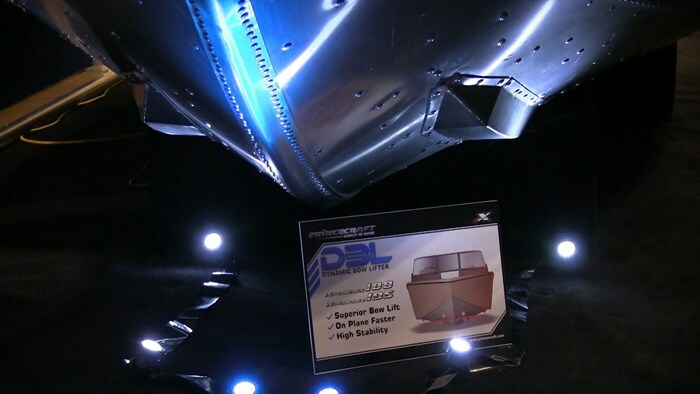 If you’re looking for a bigger water trolling boat that you can still easily trailer, that will convert to a runabout in a snap then the Xperience is the model that you have to, well, experience for yourself.